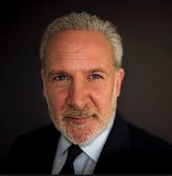 Peter Schiff On The Markets: Has The U.S. Dollar Peaked? The U.S. Dollar has had a very significant rise over the last couple of years, although it has not been rising since March. It kind of peaked out in March. But the basis of the Dollar rally was the false confidence in the U.S. Economy and the generally held view that the Federal Reserve was going to start raising interest rates and shrinking down its balance sheet because it had fixed all the problems. The reality is they did not fix the problems, they made them all worse and so now they can`t shrink its balance sheet, it can`t raise interest rates without precipitating a worse financial crisis than 2008. The markets haven`t come to terms with this reality.